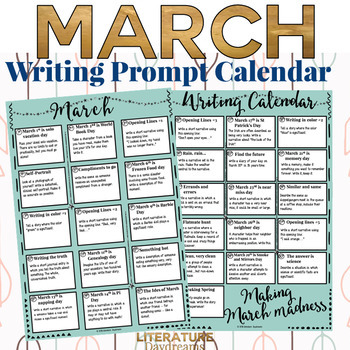 These writing prompt sheets are a fantastic way to give your high or middle schoolers amazing writing every day for the whole month of March. Use as bell ringers or quick writes. They would be a fantastic addition to any writing units covering: description, narrative voice, literary techniques, dialogue, writing comedy, writing action, or any narrative writing unit. 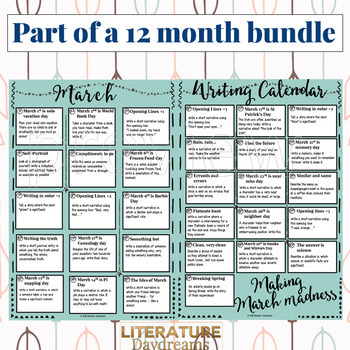 This set of prompts is included in my Writing Calendars Growing Bundle!! Each calendar date has a different writing task. 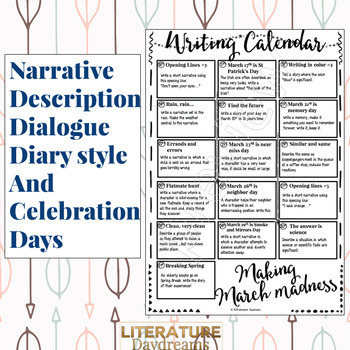 Some are based on annual celebration days (this month we have 'Pi Day') and some are based on world celebration days (World Book Day) and some are narrative or descriptive writing prompts. # As a bell-ringer task, students can choose any task from the days that have already gone. # As a daily writing task in form time or lessons. # As a homework choice selection. 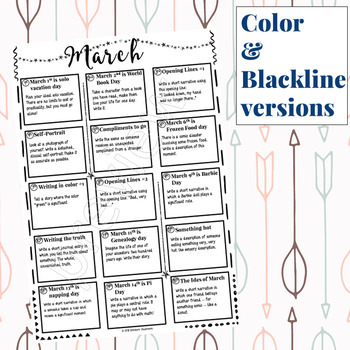 # As a discussion and writer starter for lessons. Don’t forget to leave me feedback! You will earn TpT credits which means you receive discounts on your next purchase. And I do love receiving your feedback! Follow my store to receive updates of all my new products and all my offers.